Typically, one would think that if the Indianapolis Colts and Cleveland Browns would hook up, then there would be lots of offense by both sides; if you thought that, then you would have thought wrong. Both teams got together Sunday at Browns Stadium and combined, there was a grand total of 408 total yards of offense. 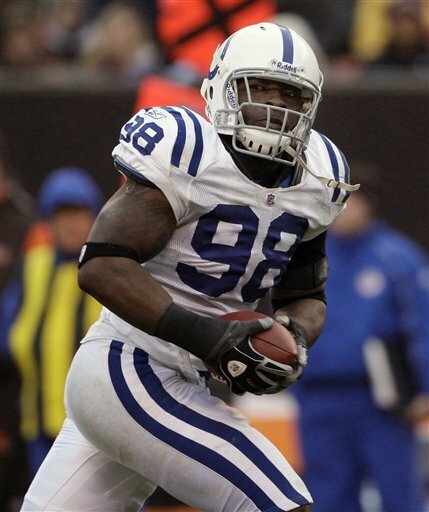 Both teams sputtered on the ground and in the air; but when the smoke cleared, it was the Colts’ defense that came through as defensive end Robert Mathis scooped up Browns’ quarterback Derek Anderson’s fumble and ran 27 yards for a touchdown, the game’s lone score as Indianapolis escaped with a 10-6 win over Cleveland. Both teams exchanged field goals to round out the scoring in the first quarter; both teams suffered offensively during the second quarter as well as the lone score was courtesy of a 25-yard FG by Phil Dawson which gave the Browns a 6-3 lead which they would take into halftime. The third quarter was fifteen minutes of attrition as neither team scored. But alas, there was finally a score to account for in the fourth quarter. 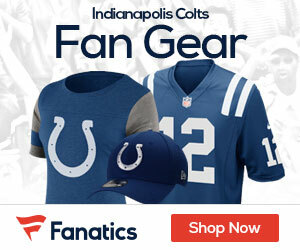 With Cleveland holding onto their 6-3 lead, Anderson was setting up to throw on third down at his own 45 when he was hit from behind by the Colts’ Dwight Freeney; the ball squirted into the hands of Mathis, who ran 37 yards for the game’s only touchdown, giving Indianapolis a 10-6 lead. The Browns had one last shot at paydirt as Anderson was dropping back to pass when offensive tackle Kevin Shaffer was knocked back into Anderson. Anderson tried to leave the field under his own power but was unable to; it was discovered that Anderson suffered a sprained medial collateral ligament. Ken Dorsey replaced Anderson for the final last three plays – the last play being an interception by the Colts’ Antoine Bethea. As previously mentioned, offense was in short supply and that was indicative of the final stats as Peyton Manning had easily his worst game of the season, going 15-for-21 for 125 yards and 2 INT’s while Anderson was 16-of-26 for 110 yards. Joseph Addai led all Colts rushers with 57 yards on 15 carries while Dominic Rhodes added 35 rushing yards; Jamal Lewis led the Browns rushing attack with 77 yards on 24 carries. Reggie Wayne led all Colts receivers with 4 receptions for 46 yards while Braylon Edwards led the Browns receivers with 36 yards on 2 receptions. Indianapolis (8-4) plays again next Sunday when they host the Cincinnati Bengals while Cleveland (4-8) travels to Nashville to take on the Tennessee Titans – also next Sunday. This was a brutal game to sit through. The weather was a huge factor. Indy needs to practice more in cold because their performance on Sunday showed that they are clearly an indoor team. Agreed on all points; however, should the Colts reach the playoffs, the East Coast playoff teams won’t have to be dealt with until DEC. The Colts will as per custom go through some warmer weather opponents first before they reach the colder weather.